Thank you Methow Valley School District Board of Directors for Your Exceptional Service in Support of Our Students, Schools, and Community! :: Methow Valley Schools • Every Student Shines! Thank you Methow Valley School District Board of Directors for Your Exceptional Service in Support of Our Students, Schools, and Community! January is School Board Recognition Month. 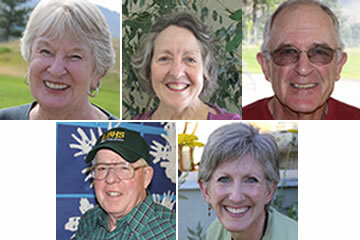 As such, we wish to acknowledge the visionary leadership, tireless advocacy, and high level of dedication and commitment displayed by past and present members of the Methow Valley School District Board of Directors. Our school board, elected officials representing those of us who call the Methow Valley home, provide the vision and leadership necessary to ensure every student graduates prepared to pursue the widest range of post-secondary college, career, and life opportunities possible. Their actions, both individually and collectively, reflect the many positive attributes and attitudes we aspire to see emulated by our own children. Please join us as we say “thank you” to members of the Methow Valley School District Board of Directors for their exceptional service in support of our students, staff, parents, and community!